Holy MOLY - I am so excited for this photo (circled!) 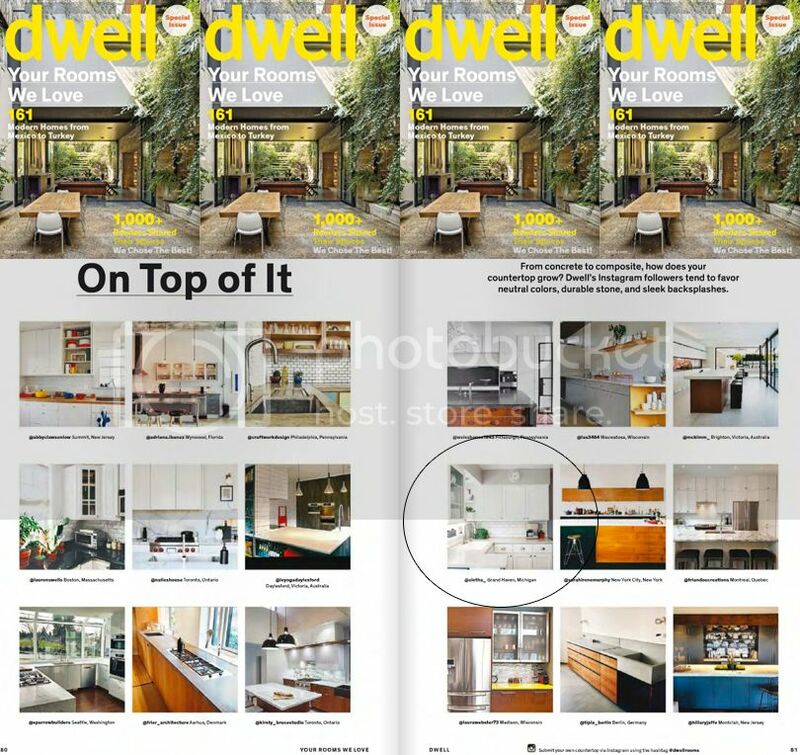 to show up in Dwell's Special Issue, which you can scroll thru for free RIGHT HERE. Dwell asked their Instagram followers to tag images of their own homes, and I tagged this photo, which was taken by Hetler Photography when we listed our adorable Alger Heights home for sale in 2013. 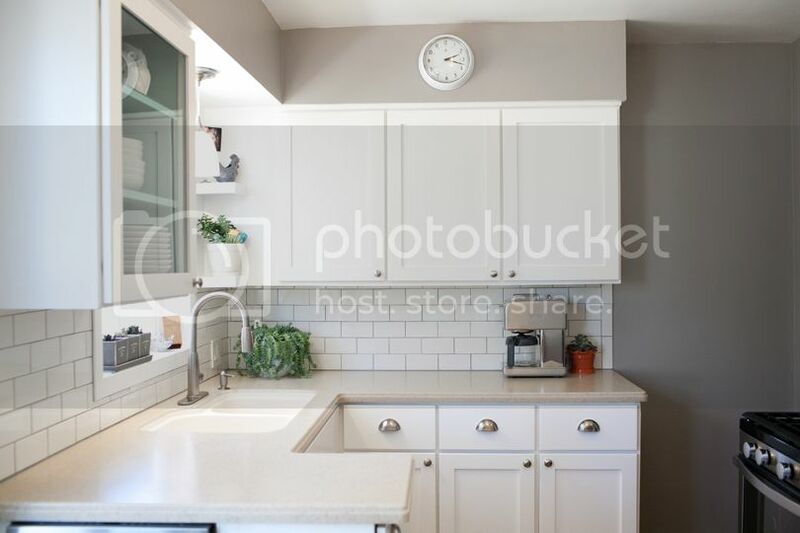 It's a photo of our former kitchen, but this home was my first personal design project, and I absolutely LOVED this little midcentury modest kitchen. We kept the original kitchen layout & cabinets, but had them refaced & replaced the hardware to update it. It was such an itty bitty kitchen, that it made sense to keep everything white and bright in there. I added a bit of color with plants, and a spalsh of aqua inside that glass front cabinet. Here's the larger image taken by Kellie of Hetler Photography. I will always love this house, and I know the new homeowners are enjoying it too - they are actually having dinner at our new house in a couple of weeks - I cannot wait to host them!